Have you been involved in a maritime accident? 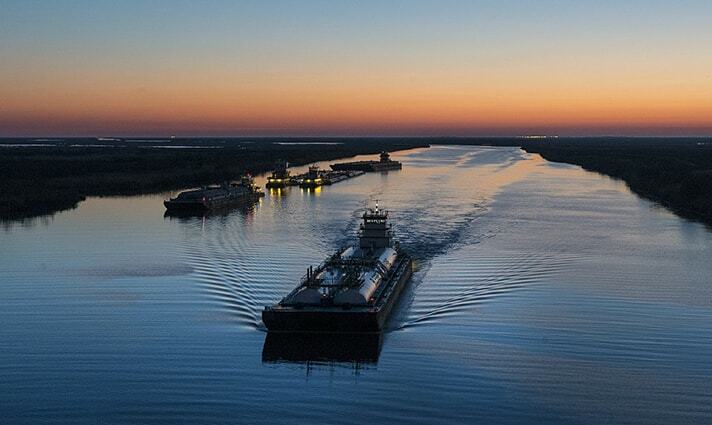 If you have been involved in a maritime accident while working on a river barge, towboat or tug, it is important to act quickly if you are considering legal action. Maritime law claims may have a set time limit that prohibits you from going to court after the statute of limitations has passed. Speaking with an experienced maritime and boat injury attorney as soon as possible may give you the best opportunity for securing compensation for maintenance and cure as well as other damages you’ve suffered. A unique set of laws can apply to a maritime injury simply because it occurred in or over the water. Whether you were injured while working along the Ohio River or were employed by a Kentucky or Tennessee boating company at the time of your maritime injury, the experienced lawyers at the Lucius Hawes Law Firm may be able to assist you in recovering compensation under the Jones Act. At the Lucius Hawes Law Firm in Hopkinsville, we have more than four decades of experience representing riverboat workers injured in the line of duty. While our maritime injury lawyers primarily represent clients from western Kentucky and middle Tennessee, our firm is able to assist with Jones Act claims originating from other areas of the country based on the home port of the injury victim. The Jones Act was established in 1920 as part of the Merchant Marine Act. The Jones Act addresses the rights of workers injured on the water. It allows injured vessel workers and offshore workers to secure a larger financial recovery than they typically would under workers’ compensation. What Can a Jones Act and Maritime Injury Lawyer Do? The Jones Act does not give a detailed description of what determines boat worker and vessel status. In cases involving maritime injuries, boat companies and their insurance companies may dispute your eligibility to receive benefits under the Jones Act. Having a strong legal advocate on your side is important, not only to protect your rights but to assist in proving that your employer’s negligence caused your accident and resulting injury. Our attorneys can handle every part of your maritime accident case while you focus on healing. Contact us for a free consultation. We handle all maritime accident cases on contingency, which means you are responsible for court costs and case expenses only if we win or settle your case. The Lucius Hawes Law Firm handles Jones Act and maritime injury and death claims for clients who are bona fide boat crew members injured while working on the Ohio and Mississippi Rivers and the tributaries of those rivers, against commercial boating companies headquartered in port cities including: Nashville, Tennessee; Louisville, Kentucky; Owensboro, Kentucky; Henderson, Kentucky; Paducah, Kentucky; Hebron, Kentucky; and Wickliffe, Kentucky.